The Aktionsgruppe Banat Ad-hoc Collection reflects the type of cultural opposition represented by a group of Romanian-German writers, who founded together the literary circle Aktionsgruppe Banat and developed a neo-Marxist criticism of “really existing socialism.” The collection comprises two types of items: (1) manuscripts and other materials confiscated by the Securitate from these writers, (2) documents issued by the Securitate concerning their cultural activity, which the communist regime perceived as dangerous. 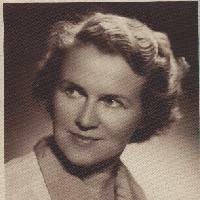 ‘Aldona Liobytė. Smiling Resistance' was the title of one of the first books about the writer, publicist and interpreter Aldona Liobytė. Being a very active person with a strong sense of humour, Liobytė initiated and led informal networks among the Lithuanian intelligentsia. She kept up social ties and correspondence with many artists, discussing and making suggestions about creative work and everyday life, as well as supporting the ideas of the younger generation of artists. Through her personal ties and networks, she expressed an outlook (usually in the form of humour, irony or sarcasm) that had a sense of the existence beyond official Soviet ideology. While she was forced to leave her job at the Literary Fiction publishers because of her un-Soviet attitudes, she continued to work in the cultural sphere, writing for children and the younger generation. Translating from other languages was also an important activity and a reliable source of income for Liobytė's family . 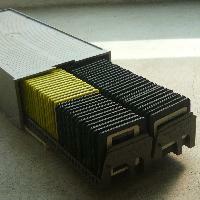 The collection consists of the papers of Aldona Liobytė, which are split between the Maironis Lithuanian Literature Museum and Liobytė’s daughter Gintarė Paškevičiūtė-Breivienė. Through colour photographs and slides, the Alexandru Barnea private collection documents the demolitions imposed by the communist regime in the centre of Bucharest following the devastating earthquake of 1977, which served as a pretext for the destruction or mutilation of many historic monuments. The policy of demolishing the architectural and urbanistic heritage has been considered one of the most aberrant and arbitrary measures in the recent history of Romania. The Andrei Pandele private collection is the most significant testimony in pictures, mainly black and white, to the demolition of historic monuments and districts in the Romanian capital in the period of late communism. Together with photographs that are essential for the preservation of the memory of a mutilated city and a vanished cultural heritage, the collection also includes a series of images capturing aspects of the degradation everyday life throughout the profound crisis of the 1980s. These suggest both the absurdity of the policies of the Ceaușescu regime and the grotesque mutations in the everyday routine of ordinary people to which these policies gave rise. The Andrei Partoş–Radio Vacanţa-Costineşti Private Collection includes photographs, publications, and various documents regarding a seasonal radio station that operated during the summer holiday period in Costineşti, which was officially and popularly considered to be the seaside resort for young people. 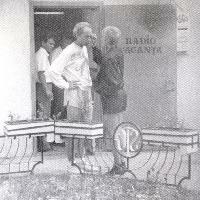 This radio station and its associated activity in Costineşti was a social phenomenon without any term of comparison in the Romania of the 1980s, an epitome of the alternative culture of the younger generation under later Romanian communism and a formative experience for the generation who supports the democratic consolidation in present-day Romania.